Why am I rushing Friday? Well...I've gone back and forth the past month on whether I should talk about this here, but have decided to go for it. 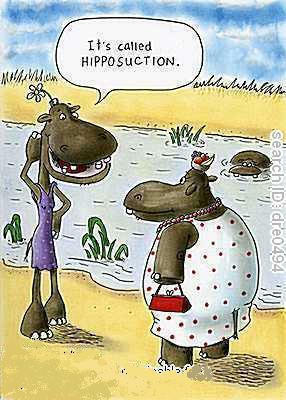 On Friday I will be having liposuction! It 's something I've been wanting to do for awhile, but wasn't making enough money with my home daycare to save anything. But since starting my new job, I've been able to. I am so excited. I've felt like I work so hard, I eat healthy most of the time, I'm in the gym 4-5 days a week- but my stomach refuses to go away, and my hips refuse to get any smaller! So I'm having lipo on my stomach, flanks (back fat), inner and outer thighs, and hips. I've done lots of research on this, I wanted to be very well informed and make sure this is what I wanted to do. And it is! I can start walking as soon as I feel like it, probably after a few days. But I shouldn't start running again for a couple weeks. The only thing I'm worried about... my next half marathon is in 5.5 weeks! The R'n'R DC half marathon. I will not be able to train for it much at all. I try to always stay half marathon ready physically, but after a surgery like this, and not being able to do any long runs, I'm not sure how it will go. If I have to do a lot of walking during it, I will. I know it will be an amazing experienceeither way. And then March 1 I'll start training like a crazy person for my R2R2R hike in the Grand Canyon! So, here's to a super fast and easy recovery! If you guys have any questions, feel free to ask! Best of wishes and speedy recovery on your surgery!!! Do you mind me asking who is the doctor you are seeing? OH wow... that's so cool. Good for you for doing what makes you feel better about yourself. Hope the healing is easy. I cant wait to hear how it all goes down & works. So interesting. Best of luck!!! Good luck Friday. Years back I worked in a plastic surgery office and my only tip after seeing so many go wrong is pretty much exactly what you're planning to do. Take it very easy after and sometimes taking it easy for longer than necessary is sometimes better. Good luck tomorrow! I'm interested to hear how it goes. I hope it all goes great. Thinking of you.